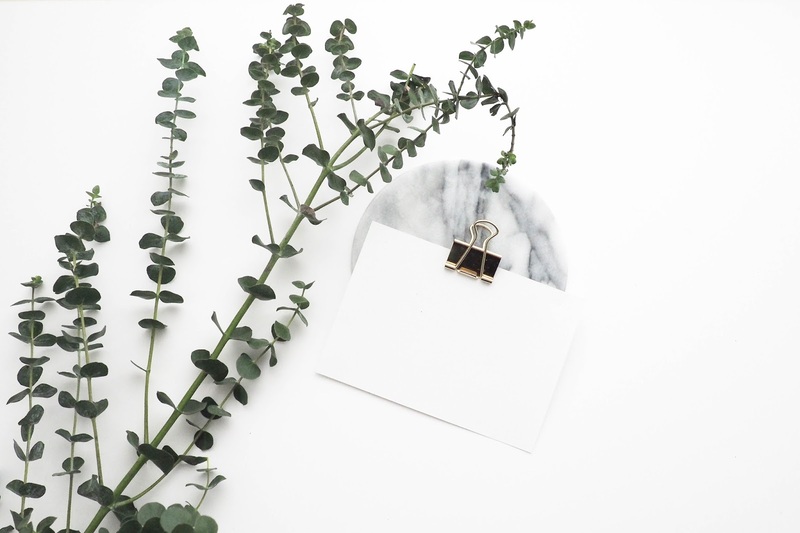 We as women are strong, we are determined, and we are ready to take on the world, but there's a few qualities of every successful #girlboss out there. 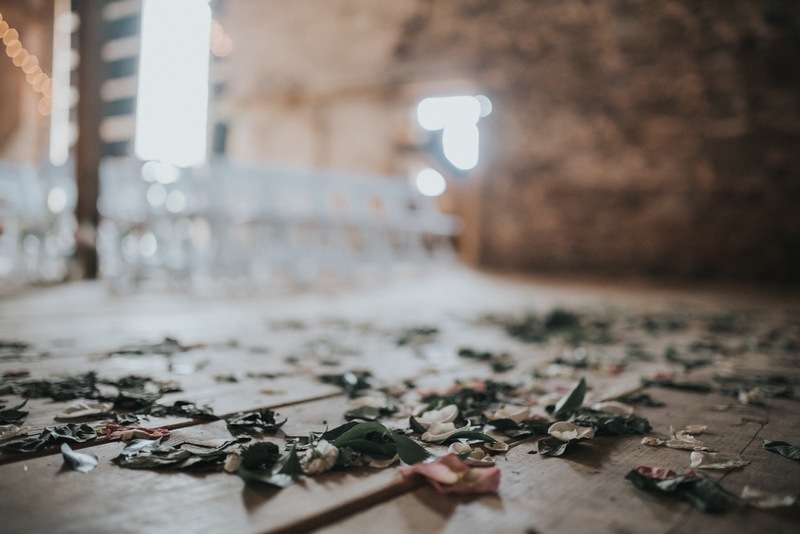 I was just recently at an amazing women's conference called Her Conference where the Editor-in-Chief of Glamour magazine, the first female NFL coach, and many, many successful entrepreneurs were speaking to young women on their journeys to success. Hearing these amazing women speak and share their stories got me thinking. 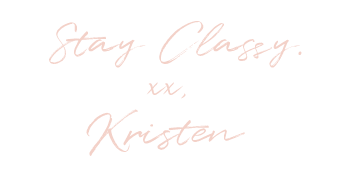 They all had a few key things in common that ultimately led to their success, and I want to share those with you today! Being self-motivated is truly half the battle. If you're motivated to get something done, you will get it done. Being a #girlboss means you have to be able to motivate yourself to get tasks done, but ultimately seek out those tasks in the first place! No business is self-sufficient--you have to want for it to succeed. If you constantly have to be told to do something or to make a deadline, you're setting yourself up for failure. If you're self-motivated, you might be considered an "overachiever", but honestly who cares? That means you're doing something that others wish they could be doing. Be self-motivated, be an overachiever, and get it girl! You have to be willing to roll with the punches. Not everything will go your way or even the right way, so you need to be able to change what needs to be changed in order for things to fall back into place. The most common situations to be resilient in are during times of criticism and times of failure. These situations can be tough, but we have to be resilient. Criticism shouldn't tear you down. Sure, sometimes it might hurt to hear, but take it knowing that it will make you stronger in the end. Whenever you fail or something doesn't go your way, think of it as a stepping stone to success. Learn from each time you face failure to get stronger, and make sure you are learning from each lesson along the way. When you face a similar situation of failure, you're already two steps ahead, because you learned from your last experience and now you know how to approach the situation to get you farther than the last time. Every single speaker at the conference mentioned some form of a self-care routine and that they truly learned to love themselves. In today's society, life is crazy and we need to learn to take time for ourselves so we can decompress from our day. It doesn't have to be anything fancy either, it can be the simple process of washing your face at night after a long day! When I take my makeup off at night, it is so relaxing. Plus, when you are taking care of yourself and your skin, you will feel more confident and ready to take on the world! You are a #girlboss after all! 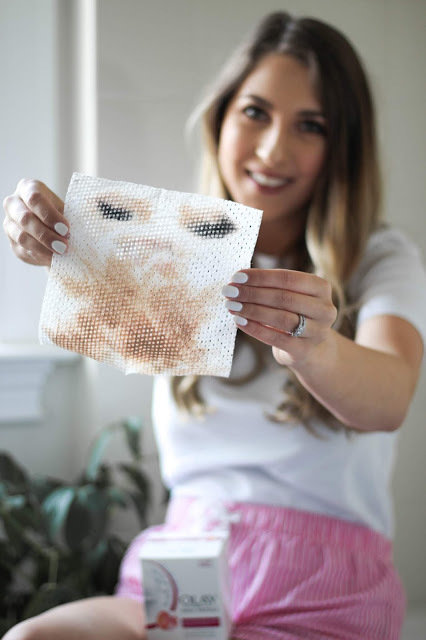 Something that I love to use at night to remove my makeup has been talked about many, many times here on the blog. 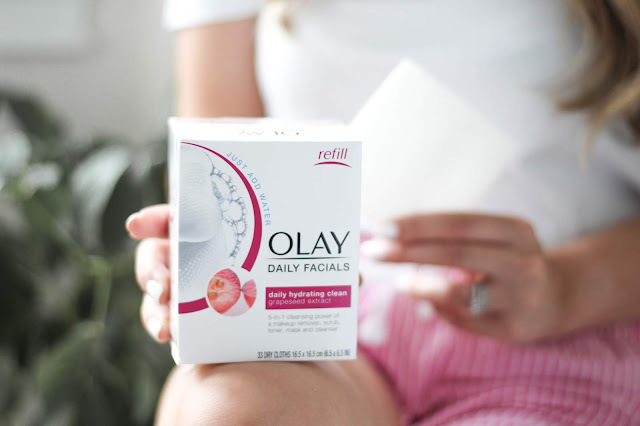 It's the Olay Daily Facials! 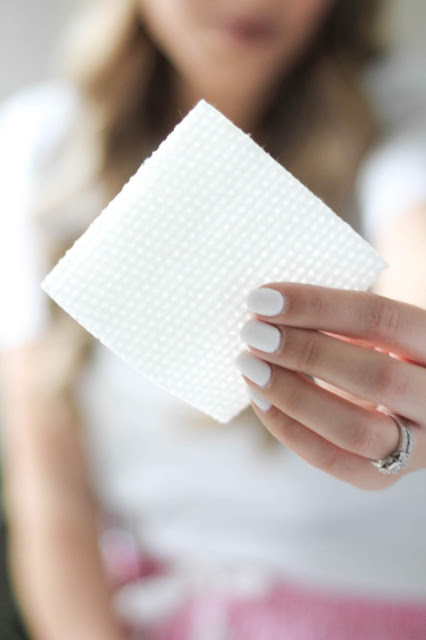 They are specialized dry cloths that are water-activated to release a rich lather of Olay Skin Conditioners. The soft cleansing cloth gently breaks up and lifts away dirt, oil, and makeup--even mascara! 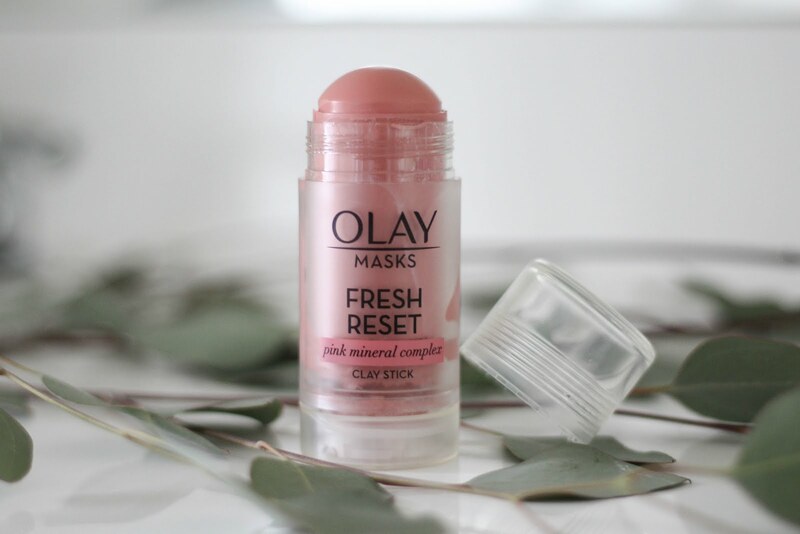 I love them, because they remove makeup so easily! Since they are dry cloths activated by water, they are perfect for travel, your gym bag, or even the office! Whether you're a #girlboss on the go or hustlin' at home, you're bound to love them as much as I do. When our self-care routine is convenient and fits with our lifestyle, we are more likely to love our routine and look forward to it each and every day. 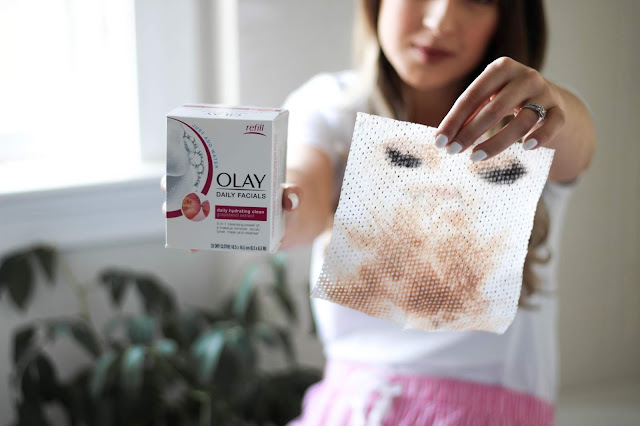 Olay Daily Facials offer 5-in-1 skin benefits. They remove makeup, cleanse, scrub, tone, and soften skin. They truly are a one and done product! Personally, I love using my Daily Facials in the shower, but you can use it at your bathroom sink as well! Whether washing your face is your favorite self-care routine of the day or you want to paint your nails, read a book, or watch your favorite show, do something to love yourself each and every day. 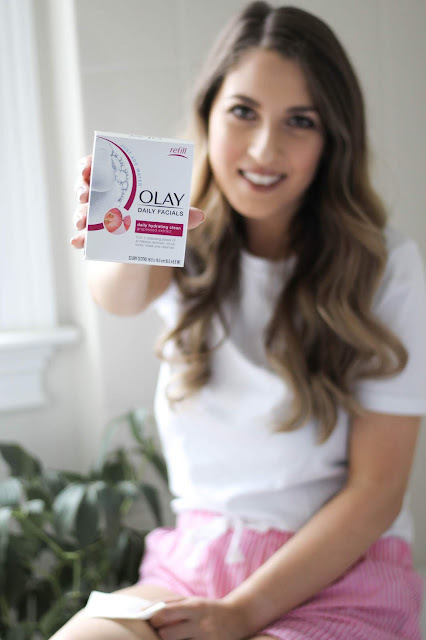 You can purchase Olay Daily Facials at your local drugstore or retailer--just look down for the pink box from Olay! Be a dreamer, friends. You have dreams, goals, and aspirations for a reason. Something that I loved that Dr. Jen Welter said, was that you can't hand off your destiny. It's your destiny for a reason, because your dreams, your goals, and all that's in between will lead you to where you need to be. Before you keep reading on, grab a pen & paper and write down your dreams. What do you want to do with your life? Where do you dream to be? If they're small dreams, keep digging. I want you to dream big. If your dream doesn't scare the living daylights out of you, it's not big enough! Our dreams stem from our passions & our heart. No one else out there can dream what we dream, because we are all different in the perfect way possible. Your dreams will turn to plans, and your plans will turn to success, and eventually, after many sleepless nights, non-stop hustle, and a ton of coffee, you will be living the dream you thought could never be possible. Networking is huge when it comes to success. Being well connected can lead you to endless possibilities in life. Start by connecting with those around you--whether they're in your 9 A.M. lecture hall, the coffee shop down the street, or the office next to yours, connect. You never know who that person might know or who they can connect you with. 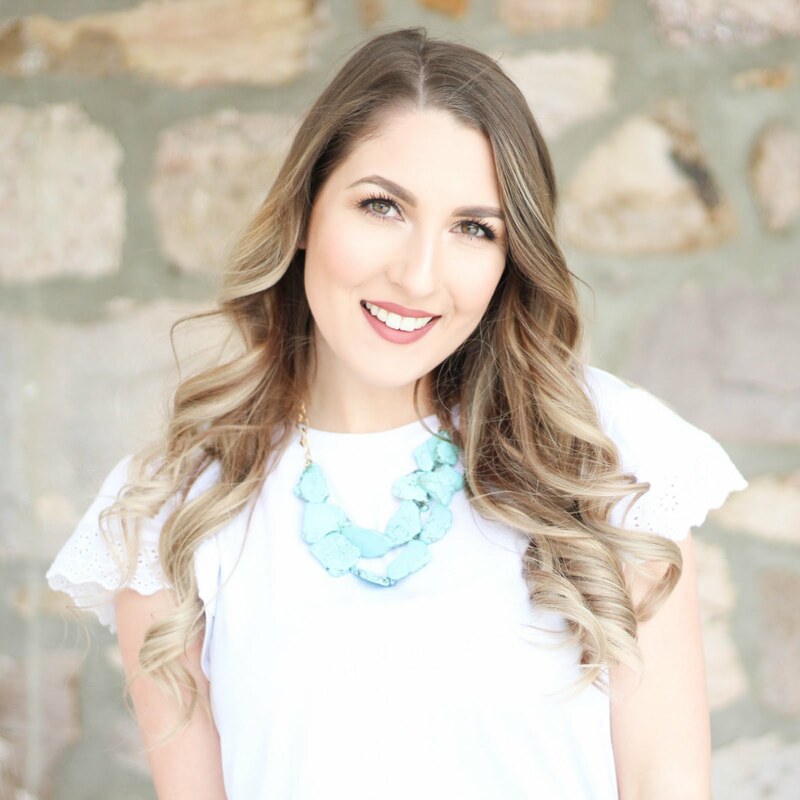 One of the stories that a #girlboss was telling at the conference in a breakout session was her real life story. She told us how one of her friends from college connected her with her Aunt's friend, and it led her to an amazing job opportunity that ultimately prepared her for her future and current dream job. I mean, how awesome is that?! Your connections, your friends, and your family will help pave the way to your success. You just have to be willing to put yourself out there and get connected. You should always be learning, researching, and striving for more. Whether you are learning from those around you, your mentor, a good book, or you are able to further your education, do it! Always want to know more. The great thing is if you are studying about things you love, it makes learning that much more amazing! Stay true to yourself, lovely. You are the only you out there. Don't live your life trying to live someone else's life. It's okay to be inspired by someone else, but you have a unique voice and purpose that only you can live out. In today's world it can be easy to compare ourselves to others, but those little quirks that make us different are what make us who we are. You should never be ashamed that you are different or have a different passion/calling than those around you. You are a world changer, and you are a successful #girlboss.